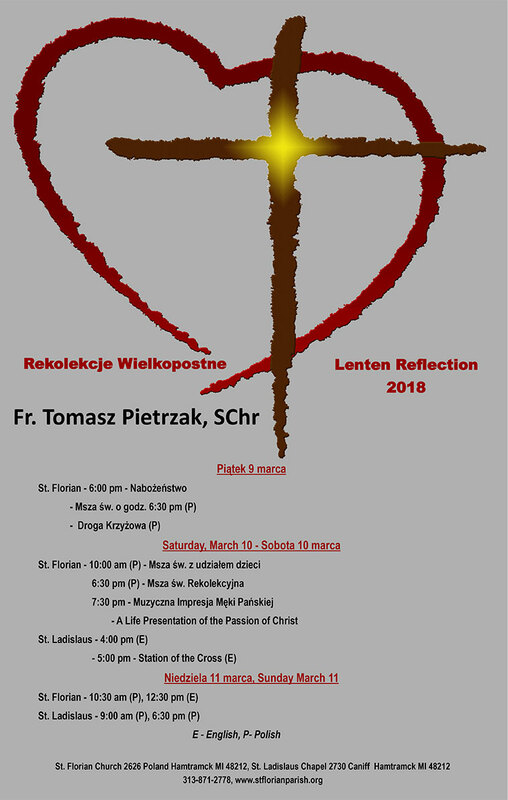 On March 10 during the 4 pm at St. Ladislaus and on March 11 during the 12:30 pm mass, we are having a Lenten Retreat led by Fr. Tomasz Pietrzak, SChr. 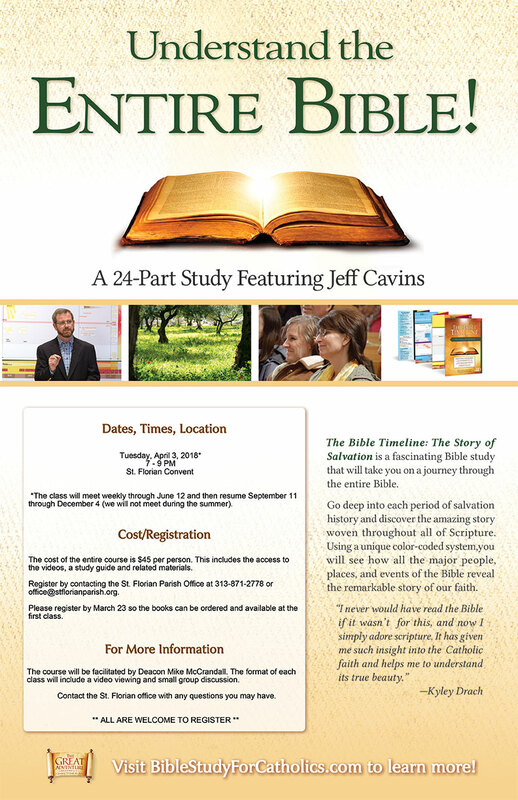 St. Florian Parish is offering a Bible Study class that will begin on Tuesday April 3. The class consists of a video, study guide and group discussions facilitated by Deacon Mike McCrandall. 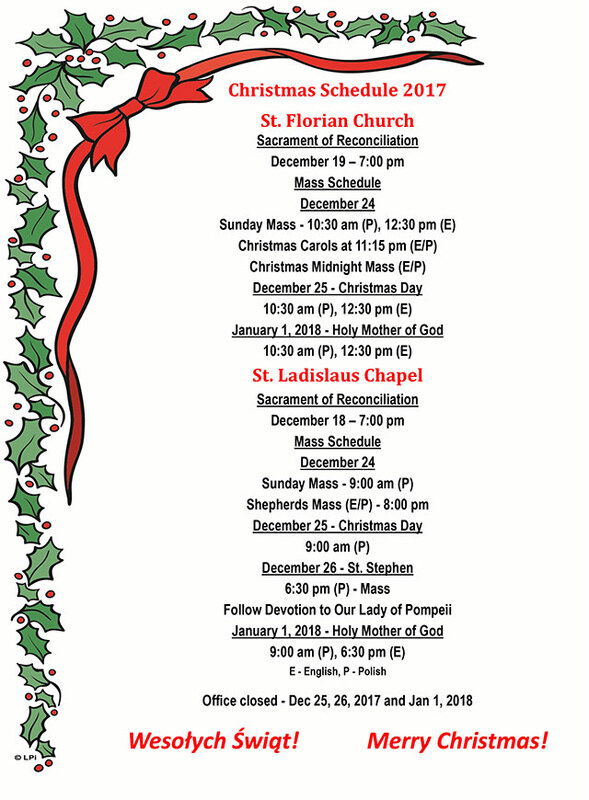 For more information please contact parish office 313-871-2778 or check our website . 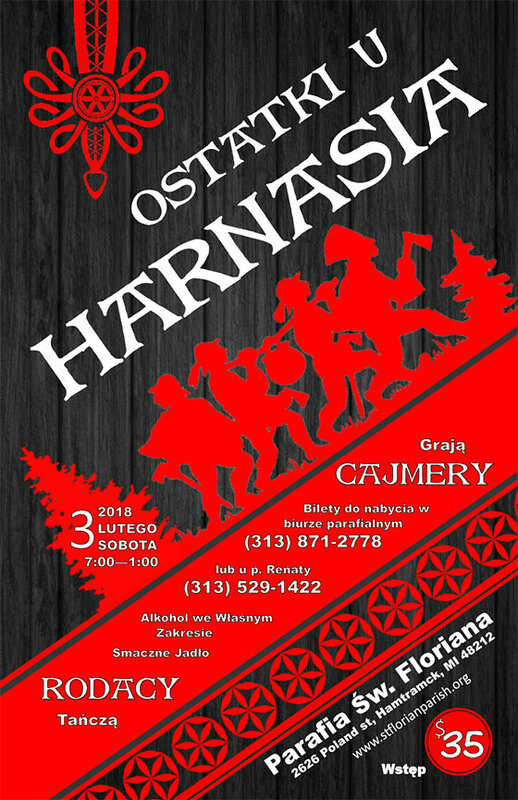 The St. Florian Parish invites you to New Year’s Party on December 31, 2017 at 7p.m. in the Church Hall. Tickets can be purchased at the Rectory during office hours or after the weekend masses. The price is $60.00 per person. Music by Band “ONI”. Parafia św. Floriana zaprasza na Adwentowe Refleksje w j. polskim w dniach 8, 9 i 10 grudnia 2017, które poprowadzi ks. mgr Piotr Janas, TChr. Hasło wiodące tych spotkań – „Przyjdź Panie Jezu”. W Piątek 8 grudnia Msza św. o godz. 6:30 p.m.
W Sobotę 9 grudnia o godz. 10:00 a.m. Msza św. z udzialem dzieci i młodzieży, a o godz. 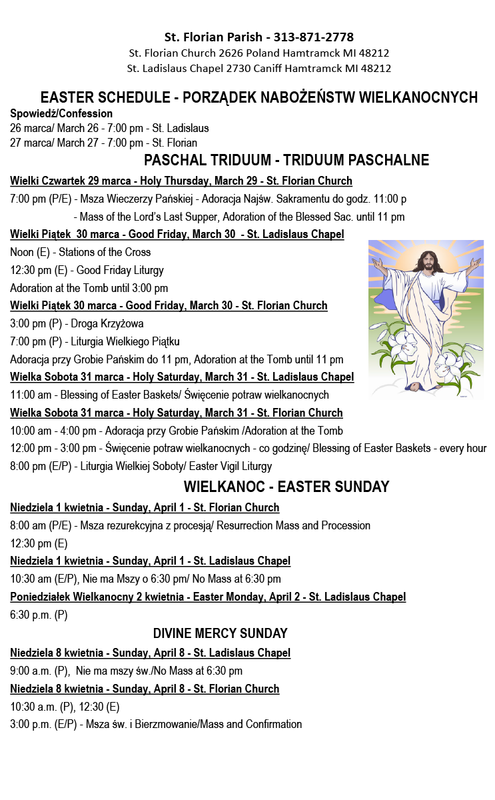 7:00 p.m.
Nabożeństwo Eucharystyczne dla małżeństw i rodzin, w niedzielę o godz. 10:30 a.m. Msza św. W kaplicy św. Władysława w niedzielę 10 grudnia Msza św. o godz. 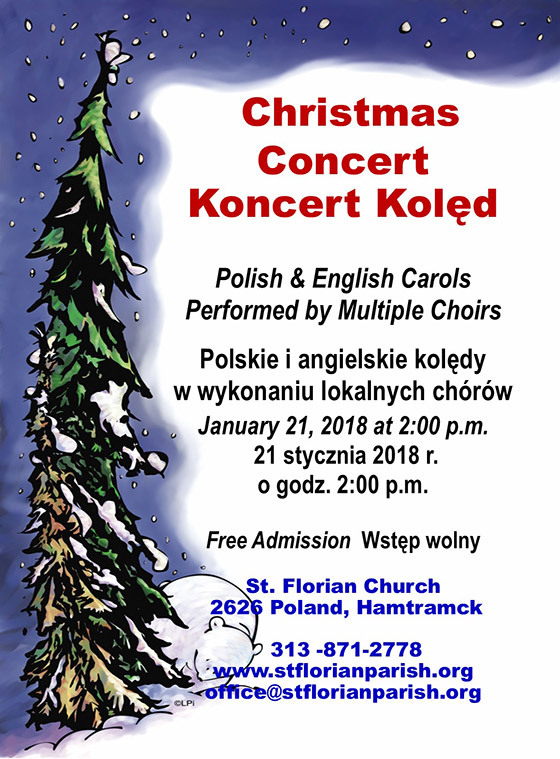 9:00 a.m. i o 6:30 p.m.
On Saturday, November 11, you are invited to the Poland Independence Ball at 7 pm in the Church Hall. Tickets are $25 per person in advance or $30 at the door. Tickets on sale after each Sunday mass or at the rectory.